As executioners pandering to the masses, the players are trying to behead the least popular nobles. 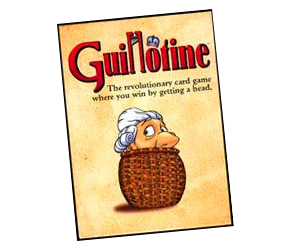 The rules are so simple it’s hardly in need of a rules summary, but here’s one anyway—for the sake of completeness—for this fun little card game dripping with black humour. Off with their heads!